In working with a client on a Washington Park home listed in the $700,000-range, in three days we saw the home secure seven offers four of which were considerably above the asking price. 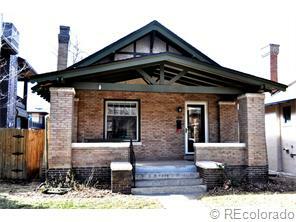 Wrote an offer for a buyer friend of ours on a home just outside the Washington Park real estate boundaries. That home was listed in the lower $300,000-range. My fellow agent told me they ended up with 17 offers on the place which is simply amazing. Listed a home a week ago, cute bungalow in Platt Park. I expected it to do well but not a frenzy–couldn’t be more wrong. In two days had over 50 showings. We did an open house on Saturday and might as well installed a revolving door. Ended up with seven offers and it went under contract for 5% over asking price. Okay so much for my prediction of a more balanced market. Quite an impressive head of steam here at the beginning of the year. It would seem a considerable number of people decided over the holidays that this was the year to make a move. So the only question is will it continue? Historically for Platt Park and Washington Park the market is strong this time of year and remains so through June. The second half of the year however always sees a falling off of that demand to some degree. It looks as though that pattern will continue once again. Last thought and a counter-intuitive one, correct pricing still is critical in this market. Still seeing homes hit the market that seem at the onset to be overpriced. More often than not those homes, in-spite of the demand tend to sit and eventually drop in price. Finding the right sweet-spot to list a home is crucial. Not any price sticks. Buyers are hungry but not crazy it would seem. Whether you are a buyer or seller in this market it is important more than ever to have an expert at your side to help you negotiate these tricky waters. We are that local expert and would love to lend you that hand. Give me a call 303-877-3097.